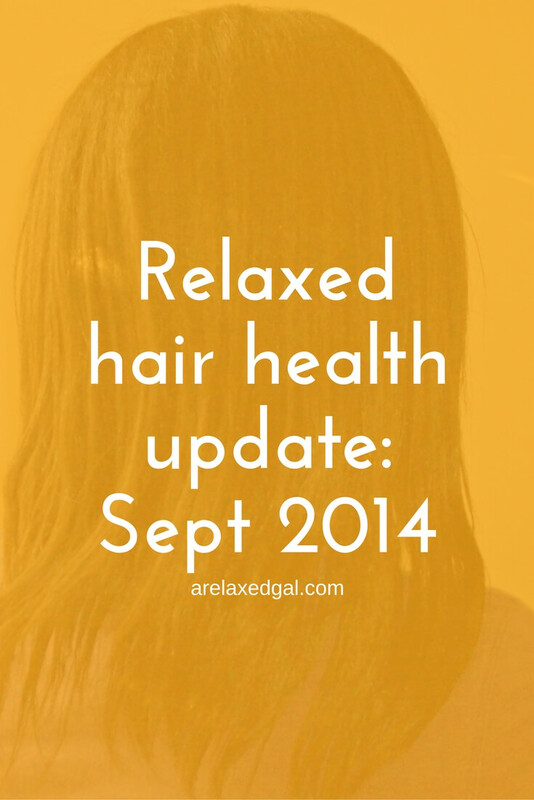 It's time for another monthly update on my relaxed hair. This month my update will around moisture retention. That's because for the month of September I focused mainly on one thing - moisture retention. Not just external moisture, but also internally. So did I stick with the plan? Every wash day this month I've deep conditioned. I deep conditioned as my pre-poo and used my Hot Head Conditioning Cap each time. The results from the weekly deep conditioning have been great and I also think it's had a positive effect on how moisturized my hair feels throughout the week. I'm curious to see if I have the same results with a deep condition pre-poo during the winter months. I also kept up with moisturizing and sealing at least every other day. There were a few times where I ended up moisturizing and sealing almost every day between washes. As for co-washing I did co-wash twice, but it wasn't every other week. Now that winter is coming I want to try and make sure I co-wash every other week as that should help me with moisture retention during these drier months. Increase water intake to at least 10 glasses a day: I'm happy to report that I can give myself an A for this. I'm not sure if there is a direct correlation or not, but my scalp would get dry by the end of the week. Since I've kept up my water intake this hasn't been as bad. I think it also has had a positive impact on my shedding. By focusing on moisture I think I now have a good moisture balance in my relaxed hair. I don't have to pile lots of product on so my hair feels moisturized. Also, my hair feels softer and I've noticed it thickening back up. I do think I have slacked a bit on the protein side though. For this first year of my healthy hair journey, I decided to focus on improving my hair health and not length outside of retaining my length. That being said, I've noticed that I have been retaining length. Especially the hair on the right side of my head. My left side doesn't seem to be keeping up. So I'm going to baby the left side of my hair for the month of October. I'm going to keep with the moisture challenge especially now that the weather is cooler and the air is dryer. In North Carolina, we literally went from summer one day to fall the next and my hair isn't liking the drier air. I plan to continue deep conditioning with my heating cap, moisturizing and sealing and drinking 10 glasses of water a day. As for co-washing, I'm going to work on doing that every other week. I've been using conditioners with some light protein ingredients and so far my hair has really liked them. 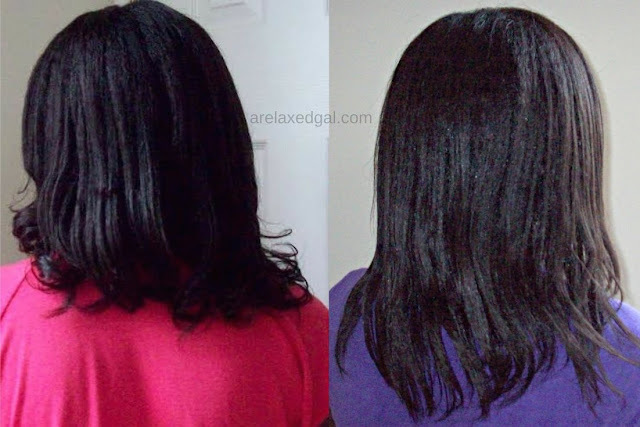 I recently did a heavy protein treatment using the Aphogee 2 Step treatment and really liked it. I think that doing a heavy protein treatment every six to eight weeks will help balance the moisture and help me avoid breakage. Now that cooler weather is here, have your hair goals changed? Love your thickness! Keep up the good work. I have increased my water intake as well. My goal is 3 liters per day. I started this 10 days ago and I reached my goal 8 of the 10 days. I also plan to try some wigs this winter. Great post!